7 7/8" overall. 3 7/8" black powder coated 1095 carbon steel blade. Full tang. Green canvas micarta handles. Lanyard hole. 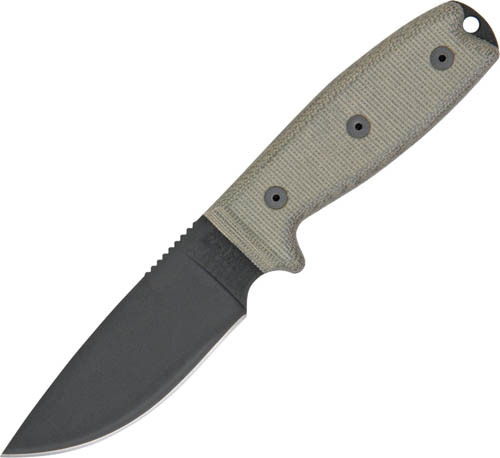 Molded black Blade-Tech sheath can be adapted to common military applications. Sheath comes standard with a Tek-Loc and a boot clip and can be carried left or right handed. May also be worn as a neck knife.